When she arrived at Wellesley a few years later, McCullagh began studying Yeats and was captivated by what she read. In her senior year, she turned her appreciation of the poet into the basis of her honors thesis in English, titled “The Rag and Bone Shop of the Heart: Tracking the Development of William Butler Yeats’s Poetry through Manuscript Materials,” with her advisor, Associate Professor of English Kathleen Brogan. In her thesis, McCullagh analyzes Yeats’ editing process and poetic writing over the course of an evolving career, from the poet’s early post-Romanticism, observation of Irish politics, and later self-reflection and Modernist inflections. 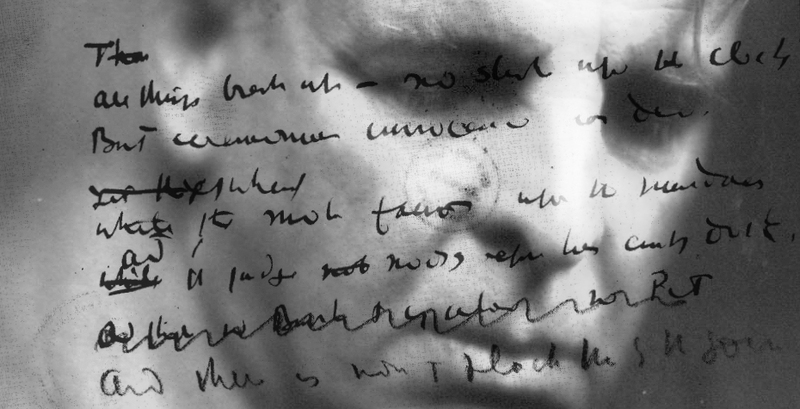 McCullagh used the manuscript materials made available by the Cornell University Yeats Project. “We can see the words and phrases he crossed out, the additions to his poetry he made, and even comments that he scribbled in the margins.” As her own work evolved, “I found interesting patterns in the thematic and technical changes across Yeats’s work,” she said. She was particularly intrigued by the question of youth and time, given Yeats’s later preoccupation with aging and mortality, and musings on love, regret, and identity after a long life; the changes Yeats made in revisions of his work reflected fascinating patterns within his poetic process. Taking a cue from the Huffington Post’s College Thesis project, The Daily Shot will continue its own series to feature theses and other projects by Wellesley seniors, exemplifying (just a portion of) the range, creativity, and scholarship of the class of 2014.